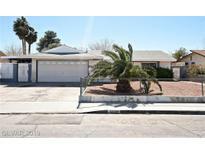 Below you can view all the homes for sale in the Sandhill Estates subdivision located in Las Vegas Nevada. Listings in Sandhill Estates are updated daily from data we receive from the Las Vegas multiple listing service. To learn more about any of these homes or to receive custom notifications when a new property is listed for sale in Sandhill Estates, give us a call at 702-323-5986. Sizey yard and conveniently located to shops, schools, and bus routes. Needs some TLC. 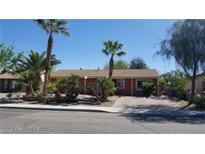 MLS#2085981. RE/MAX CENTRAL. Garden Window And Island In Kitchen. A Must See!! ! 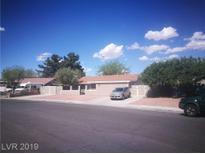 MLS#2083630. Investpro Realty. 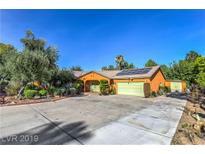 , Sparkling pool and jacuzzi, Outdoor custom built-in barbeque area, R.V / Boat parking, private shed, Garden area This home is an entertainers paradise MLS#2078049. Wardley Real Estate. The garage has been converted to a 1 bedroom studio with separate entrance and laundry area. MLS#2079149. Compass Realty & Management, L.
ALL FOR A PRICE UNDER $250K. (yard is virtually staged) MLS#2076327. General Realty Group Inc. This home is not part of an HOA. MLS#2070664. Opendoor Brokerage LLC. this house if for sale as is, very nice home, very good location, close to everything, this house offers 4 rooms family and living room clean back yard. tile although out. MLS#2059673. Desert Vision Realty. Brand new carpet. Some rooms freshly painted. MLS#2053220. Realty ONE Group, Inc.
From Pecos And Stewart Go East On Stewart Right On Sandhill Right On Trabuco To The Property On The Left Hand Side (price Reduced) great Home With 4 Bedrooms Single Story,Title Floors,2 Car Garage ,Separate Living Room And Kitchen Area new Paint,Clean Home ,Ready For A New Owner MLS#2052478. Prosperity Realty LLC.